It’s a great question. Today’s post is my answer. In Super Structure I describe what I call “signpost scenes.” These are the major structural beats that guarantee a strong foundation for any novel you write. The idea is that you “drive” from one signpost to another. When you get to a signpost, you can see the next one ahead. How you get to it is up to you. You can plan how, or you can be spontaneous about it. Or some combination in between! Now, those who like to map their plots before they begin writing (like my correspondent) can map out all the signposts at the start. 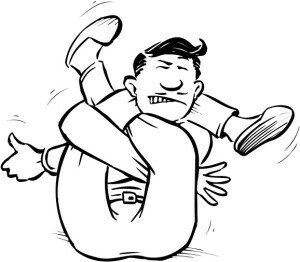 But let me give a word to the “pantsers” out there: Don’t be afraid to try some signposting yourself! Because you’ll be doing what pantsers love most–– “spontaneous creativity.” Indeed, signposting before you write will open up even more story fodder for you to play around with. That’s how structure begets story. That’s why story and structure are not at all in conflict. In fact, they are in love. So let’s discuss those gaps between the signposts. How do you generate material to fill them? I discussed this recently in my post about chasing down ideas (under the heading “Development.”) This is a focused, free-association document. You start with one hour of fast writing, not thinking about structure at all. Think only about story and characters, and be wild and creative about it. Let the document sit, then come back to it for highlighting, new notes, and more white-hot material. A few days of this exercise will give you a ton of story material and fresh ideas (hear that, pantsers?). Then you can decide on what’s best and where to fit it. One of my favorite things to do at the beginning of a project is to take a stack of 3 x 5 cards to my local coffee palace and jot down scene ideas as they come to mind. I don’t censor these ideas. I don’t think about where they might go in the overall structure. When I have 20 or 30 cards, I shuffle them and pull out two at random, and see what this plot development this suggest. Eventually, I take the best scenes and place them between the signposts of Super Structure. It’s also a breeze to do this in Scrivener, because that program works off an index-card style system. I create a file folder called “Potential Scenes” and put my cards in that file. The added benefit is that I can actually write part of the scene if I want to and it’s all associated with the index card. I have a little pocket dictionary I carry around. When I hit a creative wall, I may open the dictionary at random and pick the first noun I see. I let my mind use that word to create whatever it wants to create, with a little nudging from me toward the actual plot. I got this idea from Sue Grafton, who is someday going to break out, I’m sure. She keeps a journal for each novel. Before she starts writing in the morning, she jots a few personal thoughts in the journal––how she’s feeling that day, what’s going on around her. Then she begins talking to herself about the plot of her book. She works things out on paper (or screen). This is a great way to talk to your writer’s mind and figure things out. Ask yourself questions about plot gaps that need to be filled or strengthened. Make lists of possibilities. 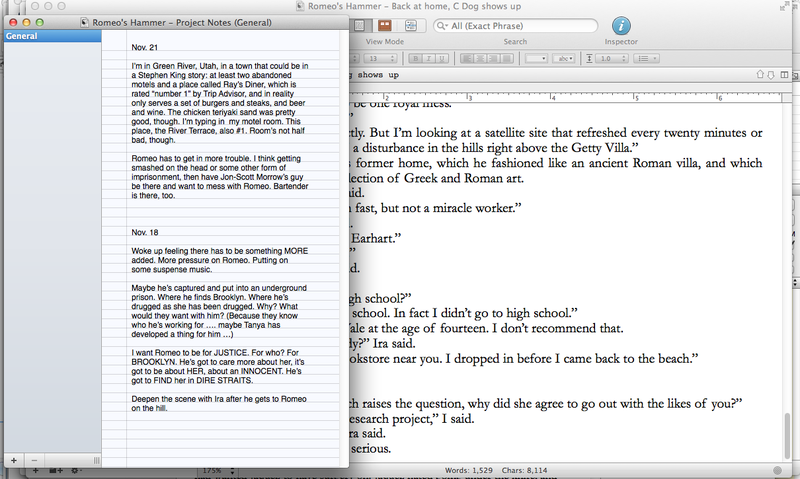 When I wrote my drafts in Word I used to create a separate document for my novel journal. 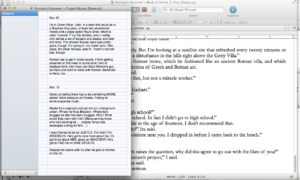 Now that I draft in Scrivener, I make use of one of its nifty features: project notes. Try these techniques (you too, pantser) and you’ll be pleased at how the material piles up. Then it won’t be a matter of wondering what to write, but what to leave out! When you write a story, whether it’s short fiction or a novel-length manuscript, there are always two major components to deal with: characters and plot. Combined, they make up the “body” of the story. And of the two, the plot can be thought of as the skeleton, the structure on which the story is built. 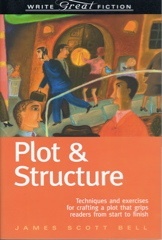 Plot can be defined as the series of events that move the story forward; the network of highways the characters follow to reach their goals. When it comes to building your plot, nothing should be random or by accident. It may appear random to the reader but every turn of the plot should be significant and move the story to its final conclusion. Every plot element, whether it deals with a character’s inner or outer being should contribute to furthering the story. 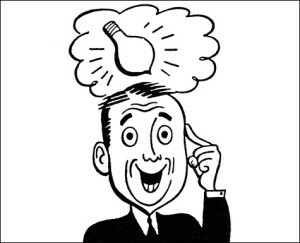 In order to determine the significance of each plot element, always ask why. Why does he look or dress that way? Why did she say or react in that manner? Why does the action take place in this particular location as opposed to another? If you ask why, and don’t get a convincing answer, delete or change the plot element. Every word, every sentence, every detail must matter. If they don’t, and there’s a chance they could confuse the reader or get in the way of the story, change or delete. Be careful of overreaction; a character acting or reacting beyond the belief model you’ve built in your reader’s mind. There’s nothing wrong with placing an ordinary person in an extraordinary situation—that’s what great stories are made from. But you must build your character in such a manner that his actions and reactions to each plot element are plausible. Push the character, but keep them in the realm of reality. A man who has never been in an airplane cannot be expected to fly a passenger plane. But a private pilot who has flown small planes could be able to fly a large passenger plane and possibly land it. The actions and the obstacles can be thrilling, but they must be believable. Always consider your plot as a series of opportunities for your character to reveal his or her true self. The plot should offer the character a chance to be better (or worse in the case of the antagonist) than they were in the beginning. The opportunities manifest themselves in the form of obstacles, roadblocks and detours. If the path were straight and level with smooth sailing, the plot would be dull and boring. Give your characters a chance to shine. Let them grow and develop by building a strong skeleton on which to flesh out their true selves. When you begin working on a new story, do you develop your plot or characters first? Do you believe that a book can be primarily “plot driven” or “character driven”? Read the news asking “What if” about every article. What if Tim Tebow is a robot? What if that Montana newlywed who shoved her husband off a cliff eight days into their marriage is a serial husband-killer? Or a talk show host? Make up a cool title then think about a book to go with it. Sound wacky? It isn’t. A title can set your imagination zooming, looking for a story. Titles can come from a variety of sources. Go through a book of quotations, like Bartlett’s, and jot down interesting phrases. Make a list of several words randomly drawn from the dictionary and combine them. Early in his career, Ray Bradbury made a list of nouns that flew out of his memory and subconscious. These became fodder for his stories, often drawn from his childhood. THE DRAPES (a memory about a pet puppy who tore my Mom’s new drapes, so she gave him away the next day. I climbed a tree in protest and refused to come down). Music is a shortcut to the heart. 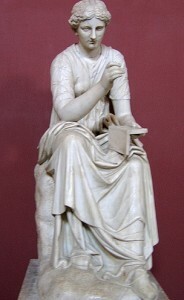 (Calliope has a sister, Euterpe, goddess of music. Put the whole family to work). Listen to music that moves you. Choose different styles–classical, movie scores, rock, jazz, whatever lights your fuse–and as you listen, close your eyes and record what pictures, scenes or characters appear. Listen: this is not plagiarism! I once had a well-meaning but misinformed correspondent wax indignant about my tongue-in-cheek use of the word steal. There are only about twenty plots (more or less depending on who you talk to) and they are all public domain. You combine, re-work, re-imagine them. You don’t lift exact characters and setting and phrases. That’s not kosher. Reworking old plots is. In Hollywood, they do this all the time. Die Hard on a boat becomes Under Siege. Die Hard on a mountain becomes Cliffhanger. All genres have conventions. We expect certain beats and movements in genre stories. Why not combine expectations and turn them into fresh plots? It’s very easy to take a Western tale, for example, and set it in outer space. Star Wars had many Western themes (remember the bar scene?). The feel of Dashiell Hammett’s The Thin Man characters transferred into the future in Robert A. Heinlein’s The Cat Who Walks Through Walls. The classic TV series The Wild, Wild West was simply James Bond in the old West. When zombies got hot a few years ago, I pitched my agent the idea of a legal thriller series with a zombie as the lawyer-hero. I figured most people think lawyers and zombies are the same anyway. Kensington bought it and it became the Mallory Caine series under my pen name, K. Bennett. you’re interested, I have 10 more of these games in my book, Plot & Structure (from which this post is adapted). So what do you do to get creative? The other day I watched a thriller, and was enjoying it. Until the last act. The lead character—a smart, good-looking but otherwise normal young woman––suddenly becomes a NASCAR-skilled driver, and plows her car into a bad guy who is shooting at her. 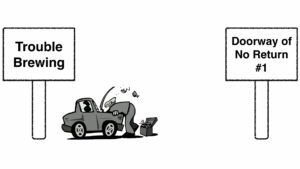 Then she slowly gets out of her car and walks over to the splayed body and . . .leaves him alone . . .does not pick up his gun . . .does not make sure he’s dead or completely incapacitated! I mean, wouldn’t you think that a smart, good-looking, normal young woman would have seen a hundred thrillers where the hitman who is supposed to be dead suddenly shows up alive? But: by not picking up the hitman’s gun, the young woman is left completely vulnerable should the main bad guy suddenly appear. Which, wonder of wonders, he does (complete with suspense-movie bumper music). He has shocked and surprised our smart young woman, and can now kill her instantly. But because over the last fifteen minutes this deadly, perfect-moves-each-time bad guy has for some reason been transformed into a doofus, she gets away. He chases her. He corners her. But he does not finish the job because he spends valuable screen time talking to the young woman about how he is going to finish the job (“Overtalkative Bad Guy Syndrome,” or OBGS). Allowing, of course, good-looking but otherwise normal young woman to triumph! Yes, characters can make mistakes. Characters can make a wrong move. Just don’t let it be an idiot move. 1. What is the best possible move each character in the scene can make? Every character in every scene must have an agenda. Even if it is only (as Vonnegut once said) to get a glass of water. That’s how you create conflict in a scene, after all. Then, after noting the agendas, determine the best move each character would make in order to get their way. 2. What is the best possible move being made by the characters “off screen”? Remember, while you are writing a scene there are other characters who are alive and kicking somewhere else. What are they doing? How are they advancing their agendas? This question will provide you with some nice plot twists, turns and red herrings. But if you get backed into a corner at the end, and just don’t know what to do, you can always have the main character wake up and realize it was all a dream. Works every time! Or perhaps that’s an idiotic suggestion. How do you keep your characters in the smart line? 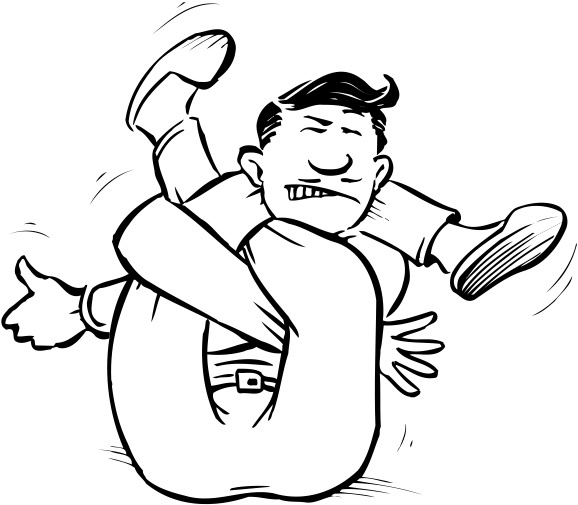 What bad moves drive you crazy when you see them? There are pansters. And then there are pure pantsers. Okay, well, that’s one approach to writing a book, and there is nothing sinful about it. Get that? I am not saying to you that this is in any way an invalid method of finishing a manuscript—so long as you recognize the hard work that must follow to shape a readable novel out of this mass of pantsed material. But to any writer or teacher who says writing this way is not only best, but easy, feed them this phrase: Pants on fire! So let’s have some plain talk about pantsing. For a time I persisted, telling myself to Trust The Process, and feeling all the while like a Christian Scientist with appendicitis. Then, with 175 pages written and a maximum of 75 left in which to Wrap Things Up, I stopped writing and threw up my hands. And my lunch. All pantsers face this at some point. They have to wade into that mass of verbiage and excreta and figure out what’s good, what’s dreck, what fits, what doesn’t, where the story is going and how to help it get there. But if they have been told to “forget about structure” they are lost at sea in a leaky boat with no navigation tools. Sometimes I have to fire up my rescue dinghy and motor out there with a life jacket. The other day I consulted with a #1 New York Times bestselling author. She called on me because she’s a fan of Plot & Structure and needed help getting a novel idea into shape. The book was fighting her and she had pages due her publisher. So we sat down for three hours and hashed it out. It was easy duty for me because she gets structure. She’s studied it. She’s used it. She knows it. And her book is going to be killer because of it. So I walked him through some key questions, based on what I call “signpost scenes.” These are key scenes in a well-structured story, scenes you can write (even pants!) toward as you move along. After I prodded him with a few “What ifs,” he started to get it. He began to see the structure of the whole laid out in his mind. He was excited. He could feel the strength that structure gave him, and the direction: he now knows what kind of scenes to write so they are organic and related to the plot. He is not just spinning his scribal wheels. (And he really can write. His story is going to be killer, too). So, dear friends, I am not telling you not to pants your way through a manuscript. I am telling you that at some point you’ve got to face structure because if you don’t, you’re going to end up with a novel that doesn’t sell, except by accident. 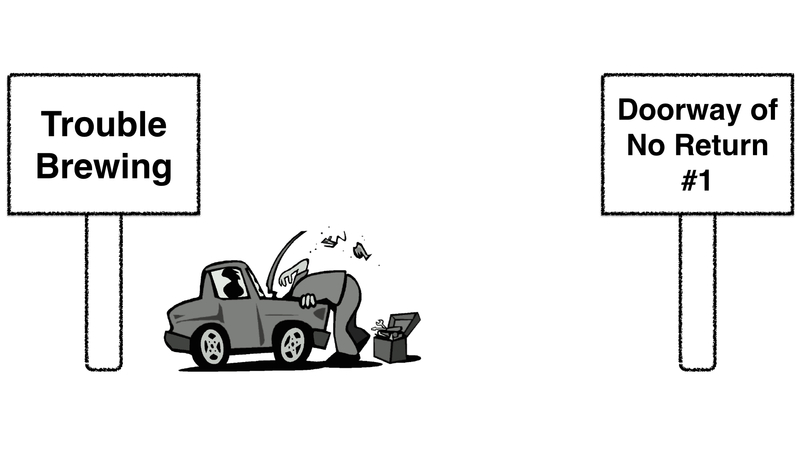 (Yes, accidents happen, but that’s no way to build a career). Sure, there are some writers who say they don’t ever think about structure and they do just fine. I believe about ten percent of them. The ones I believe are the lucky ones. They can intuit their way to a novel that works. Maybe even on the first draft (you can choose to hate Lee Child at this point). But the structure is always there, even if they don’t plan for it. They’ve simply got it in their writing bones. I read that first book and my heart just sank for the guy, because his structure was off. He made some obvious craft mistakes up front which resulted in a dull first act (which you really want to avoid in the thriller genre). I wish I could have been his editor, because with a little help so much of the trouble could have been avoided. Here’s the key to everything: you must put your original voice and vision and style and spice and characters and love and passion into a story that, structurally, helps readers feel what you want them to feel. That’s what the craft of structure is about. It’s not to limit you, the artist. It’s to set free your story so an actual audience can enjoy it. So go ahead and pants your way through a first draft if you like. But after that put on bib overalls and get your tools out and start working on the structure. You may wish to ignore this advice. You may seek to pitch a tent in Occupy Storytelling Park, grow a beard, and rail at the passing pedestrians. But understand this: several of them will be writers who know structure and are on their way to the bank to cash their checks. I want to send you a big, sincere ‘thank you’ for writing your book on plot and structure. After trawling through many books on plotting and feeling more and more confused and anxious it was a relief to come across your book. Finally I began having ‘aha!’ moments – and I’ve only read three chapters! If an ex-lawyer can still have working cockles in his heart, mine were warmed. I love hearing when a writer starts to get it. An “aha moment” is exactly what I strive to provide in my teaching. Because it was just such a moment that put me on the path to selling my work. Light! 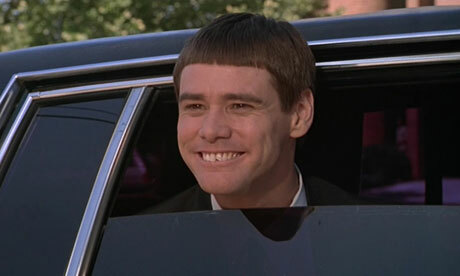 A bulb! A flash! A revelation! My muse on fire! I feel like I’ve suddenly “clicked into” how to write . . . I mean, everything I’ve been reading and brooding about has finally locked. There is this tremendous rush of exhilaration. It just happened, and now I feel like everything I write will be at least GOOD, but can also be EXCELLENT. I was writing screenplays at the time, and I’d written five or six over two years without success. But the next one I wrote was optioned and got me into a top agency. I optioned other properties, too, and did some assignment work (including a treatment for the late, great Whitney Houston). But when the projects didn’t get pushed up the ladder (an old Hollywood story) I got frustrated and wrote a novel using the same revealed wisdom. The novel sold. Then I wrote a legal thriller and got a five book contract. My career as a novelist was launched. And all of it I trace back to that epiphany. Here’s the story. I was a member of the Writer’s Digest Book Club at the time. 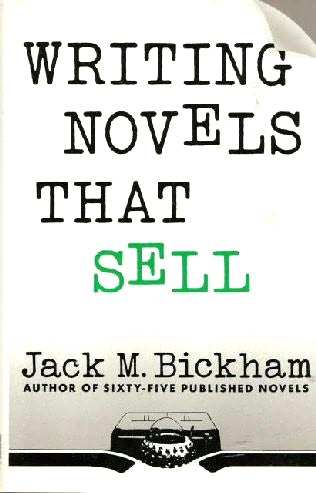 One of their offerings was Jack Bickham’s Writing Novels That Sell. I’d been reading screenwriting books, like Syd Field’s Screenplay and Linda Seger’s Making a Good Script Great. I thought, well, there may be some cross-over here from the novel world, and I bought the book. 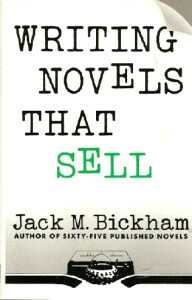 Bickham advised this was a book for people wanting to get serious about becoming professional writers. Not fluff, only what had worked for him and his writing students at the University of Oklahoma. He said it should be studied sequentially, as each chapter built upon the last. So that’s what I did, starting at page one and working my way through. And when I got to Chapter 8, covering “scene and sequel,” that’s when the bulbs started popping in my brain. Up to that time I did not have a strategic approach to writing the next scene. I just sort of let it bubble up in my imagination (or had committed to it on an index card) and went for it. But my scripts weren’t working. People told me so, but couldn’t tell me why, which was frustrating beyond measure. Now, suddenly, I knew why they weren’t working. A superb writing instructor had nailed it and explained it to me. In brief, a scene is a unit of action made up of a goal, conflict and disaster. There are of course nuances and variations, but all of them emanate from this basic understanding. The disaster doesn’t always mean something huge, though it sometimes is. It is a setback of some sort, making the hero’s situation worse. We make our story go forward by pushing our hero backward, farther and farther from his ultimate goal, through scene disasters. The reader reads excitedly, roots for the hero––then is crushed with him. The novel flies along, lifelike, dramatic, suspenseful, hard to put down, filled with twists, surprises and setbacks––and more and more tension as well as admiration for the battered hero who simply won’t quit. Bam. Boom. Bingo. This was my breakthrough, my foundation. And it’s never let me down since. Or maybe you’ve had a series of these moments, perhaps not as dramatic as my own, but meaningful just the same. For further information, testimonials and sign-up forms, go here.